We’ve arrived at park #3! 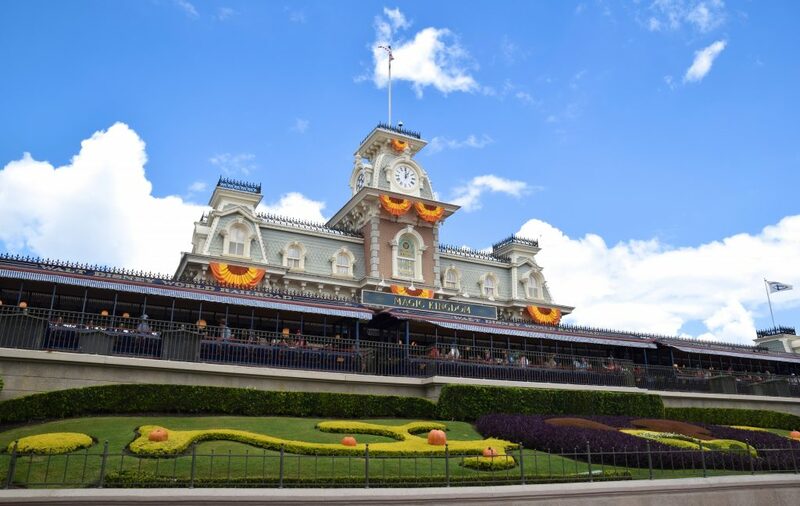 It’s the world’s highest-attended amusement park, Magic Kingdom! 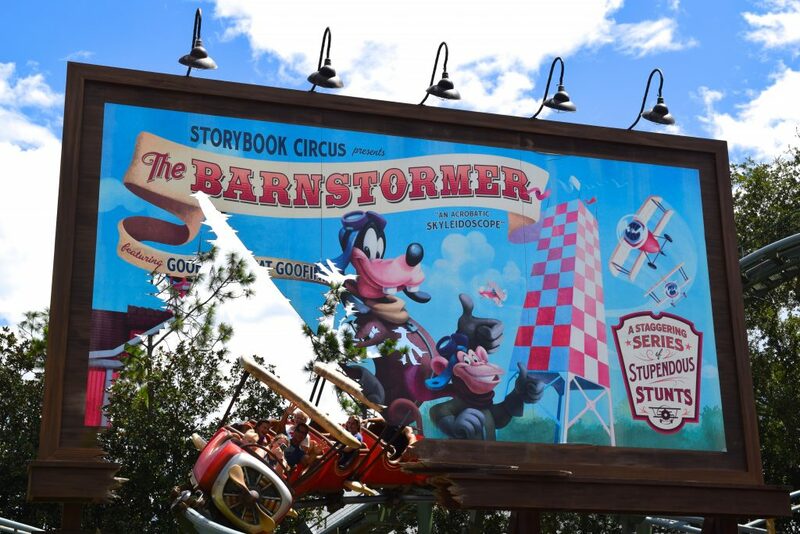 It’s still the only park to ever break 20mil in annual attendance, but Disneyland Park isn’t far behind! 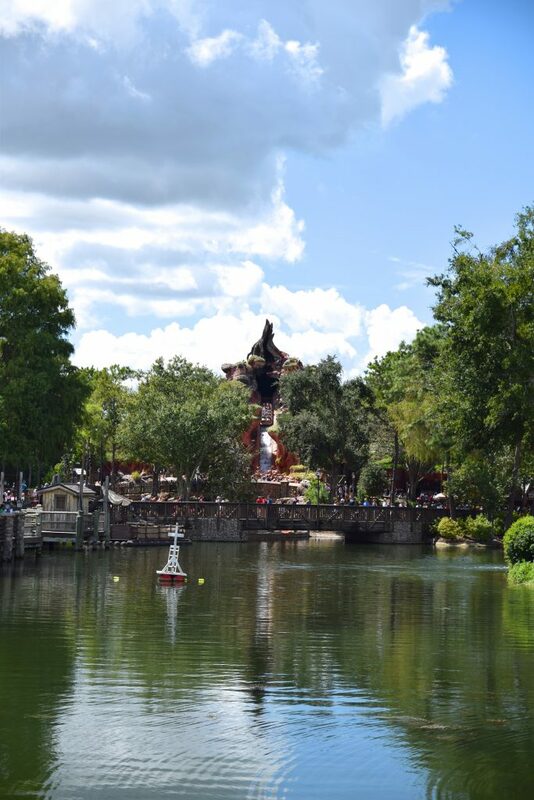 Magic Kingdom is definitely more relaxing and than Disneyland Park. Getting around the hub here is a lot less chaotic. After a ride on the blazé Pirates (Sean needed to see for himself), we took the train around to Dumbo’s Storybook Circus. 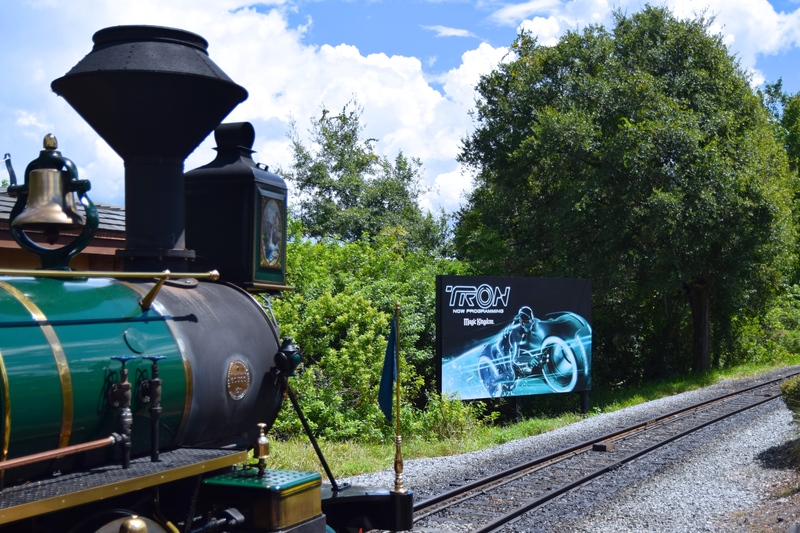 We had to blush at the TRON Lightcycle Power Run billboard – c’mon 2021! Can’t shake a stick at a 5min wait for a new credit, right Sean? 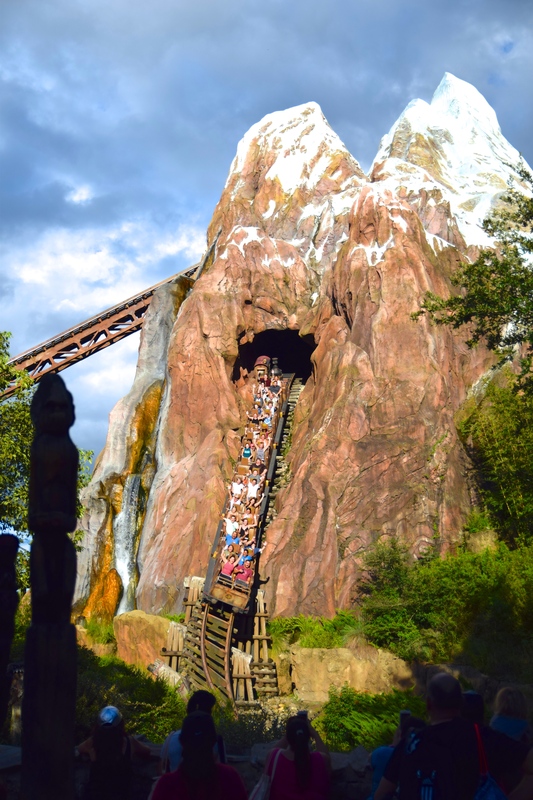 Thanks to some FastPass magic, we got a quick ride on Seven Dwarfs Mine Train, which we adore. 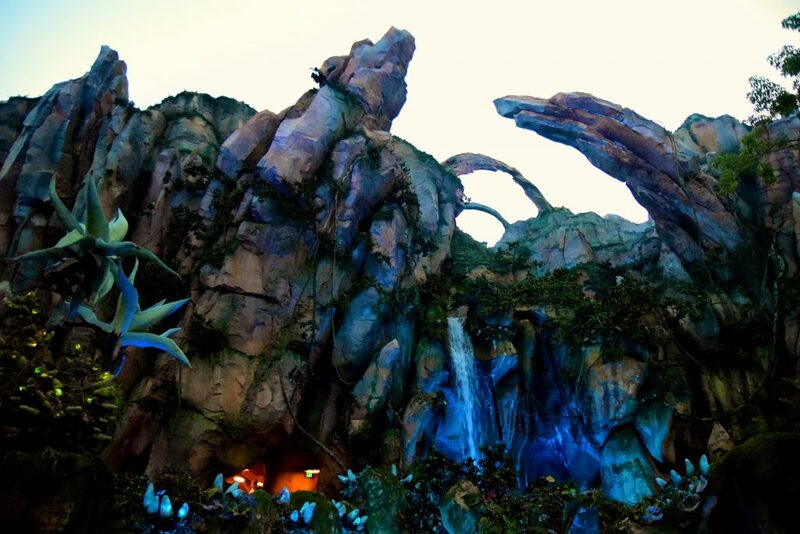 We rode it several times in Shanghai, but after one ride Sean agrees that Orlando’s is the superior version. 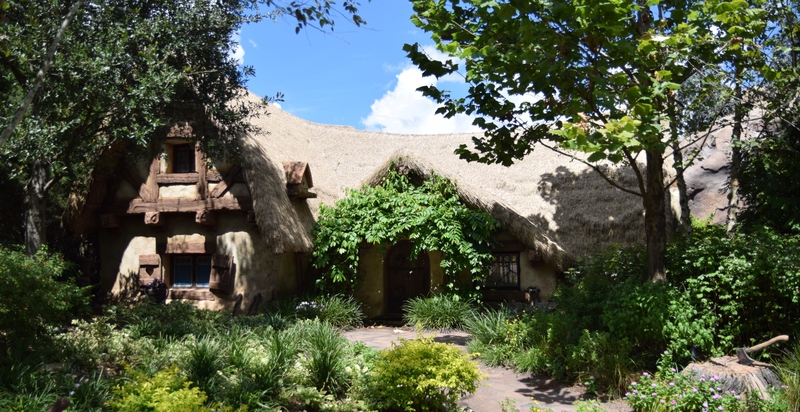 There’s no Dwarfs’ house scene in the Shanghai Disneyland version (since it was salvaged from Snow White’s Scary Adventures), and the integration into Orlando’s Fantasyland is better. 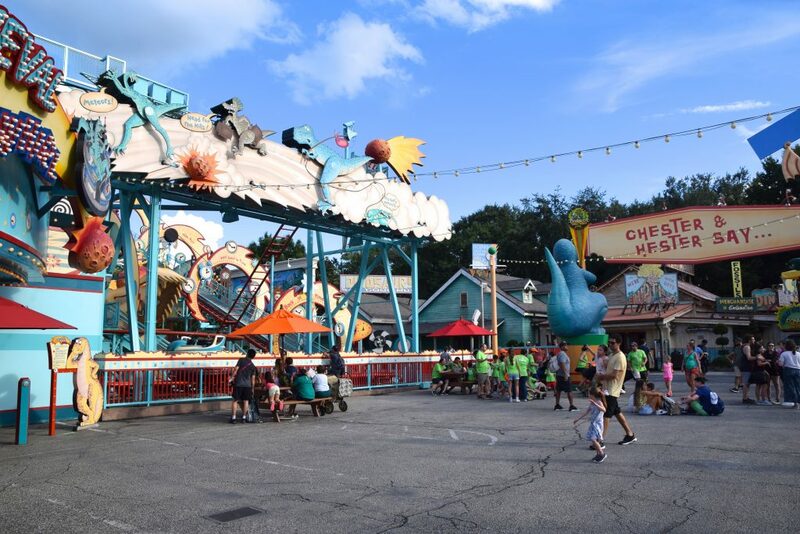 We love being to see the ride from all sides, and appreciate the mature foliage and queue activites. 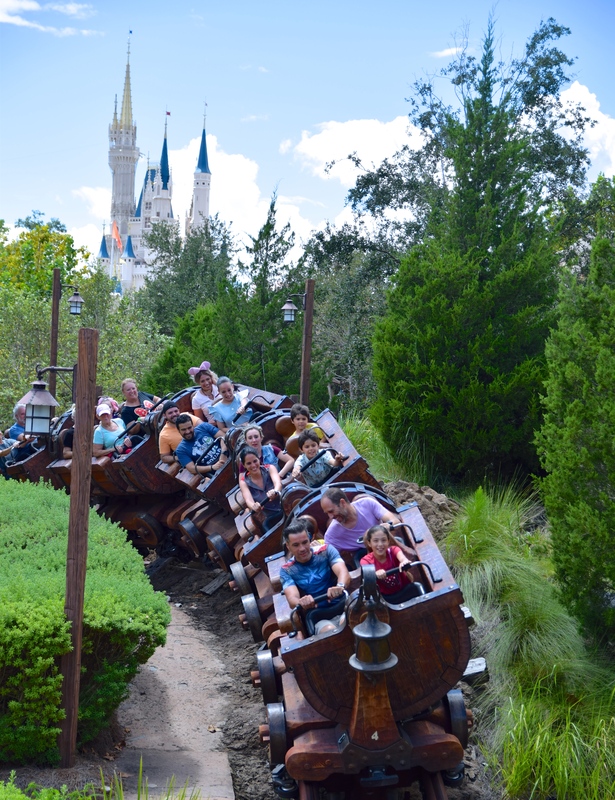 The only thing Shanghai’s Seven Dwarfs Mine Train has over Orlando’s is a single rider queue. 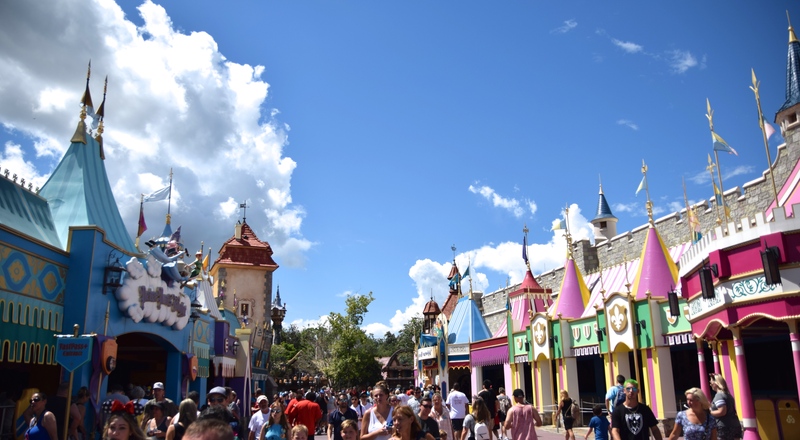 Time for a quick pass through Fantasyland to our next FastPass+ attraction! 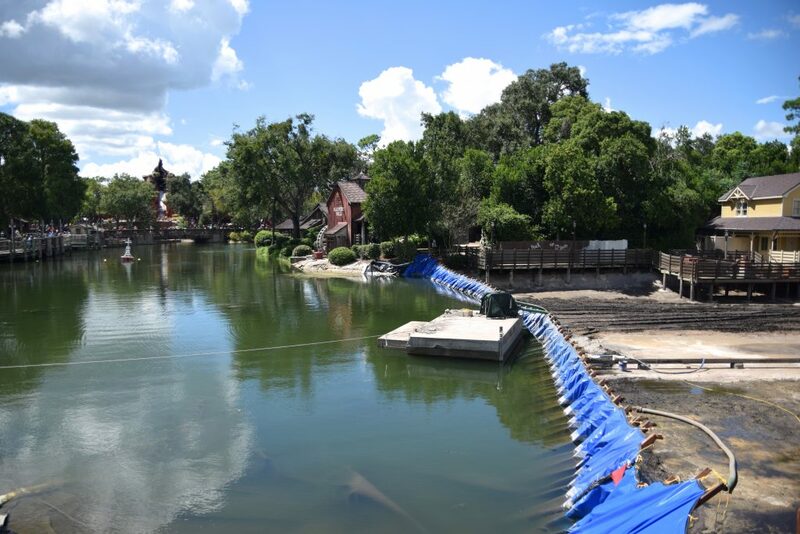 Rivers of America is getting a little love. We decided to skip water rides on this visit, so no Splash Mountain. We did ride Big Thunder Mountain next door (although I forgot to take a picture of it. Oh well. It’s ugly anyway). Also, no Haunted Mansion this time. Sean’s not really a Haunted Mansion person. 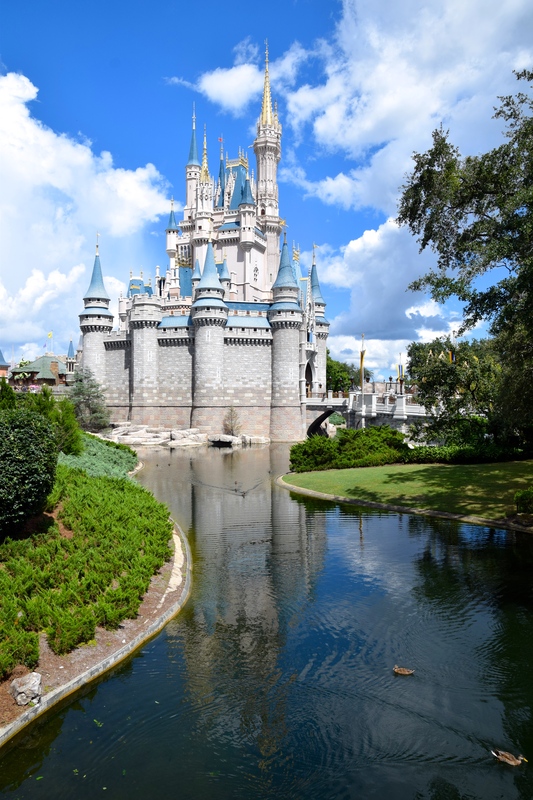 I just love Cinderella’s Castle. I love Sleeping Beauty’s Castle in Anaheim too, of course, but the BIG castles really have amazing presence. 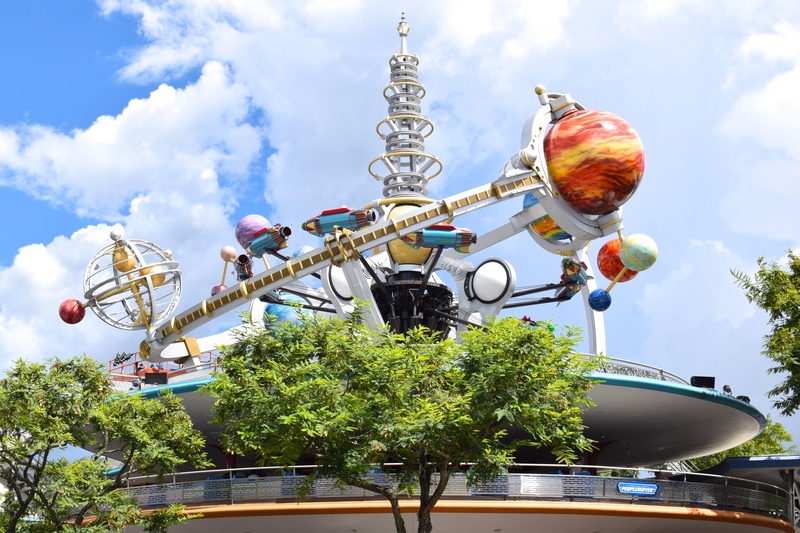 We went into Orlando’s Tomorrowland expecting it to feel like less of a hot mess than Anaheim’s, but we think it actually breaks even right now. I suppose we side with Orlando’s because it’s not a dreadful bottleneck like Anaheim’s. I was excited to introduce Sean to the OG Space Mountains. They’re a little rough around the edges, but great rides overall. 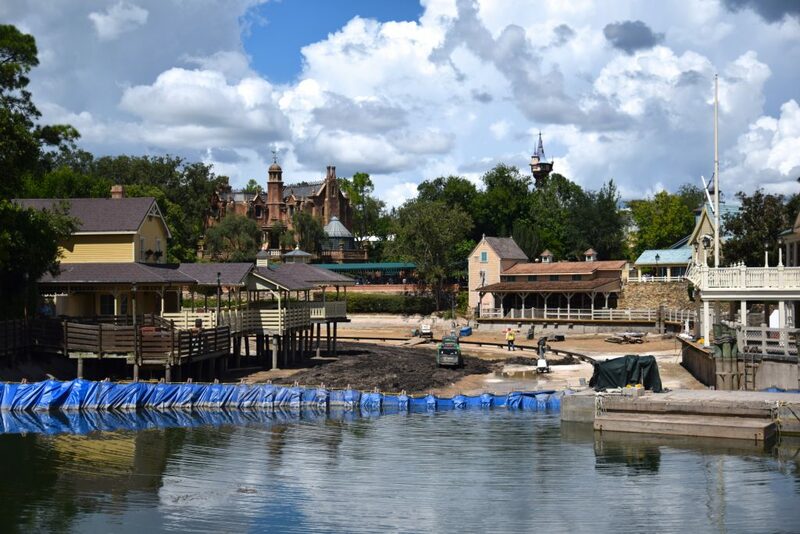 Excited for these to receive their long-awaited overhaul, which is now rumored for 2022 (?). 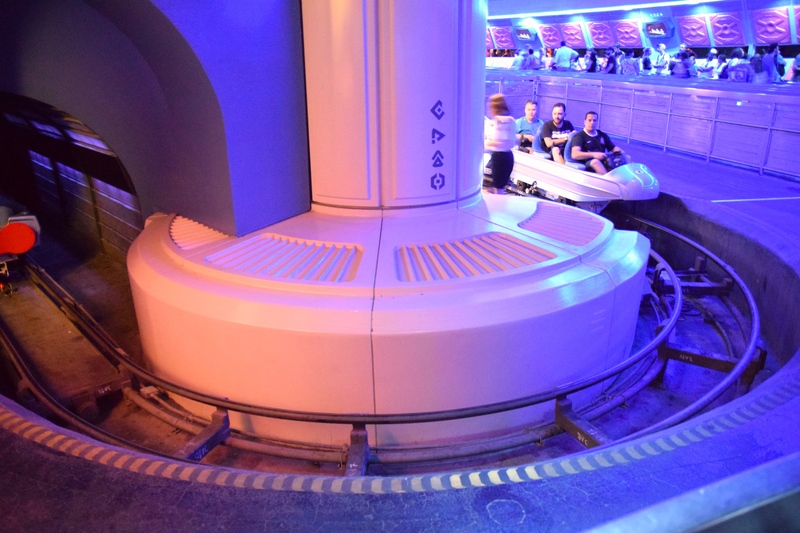 For whatever reason, the Alpha side of Space Mountain was running its trains half-empty. Our theory is that it was blowing through one of the brakes, so they cut loads in half until they could take a closer look at the problem? 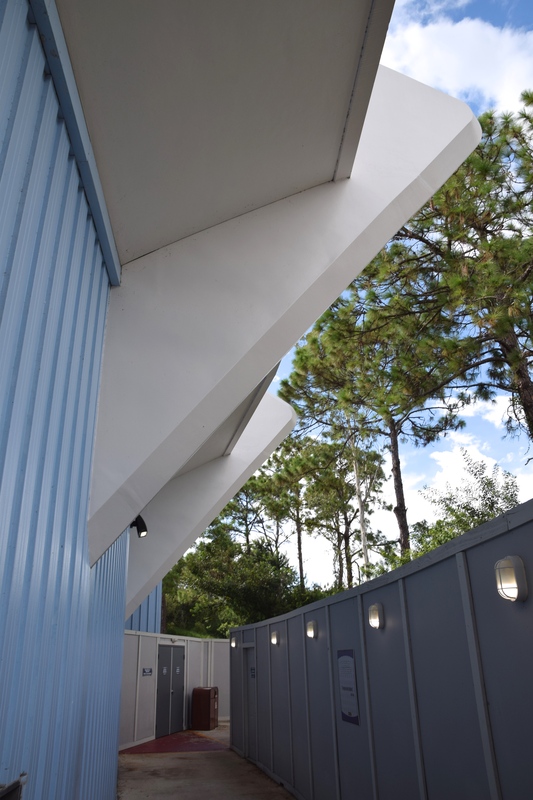 Space Mountain’s exit corridor was receiving some TLC, so an auxiliary exit around the ride’s exterior is now in use. After our first bus ride of the day (again, I can’t stress enough that Animal Kingdom deserves some form of “cool” transportation), we arrived at park #4 of the day! We saved the best for last. 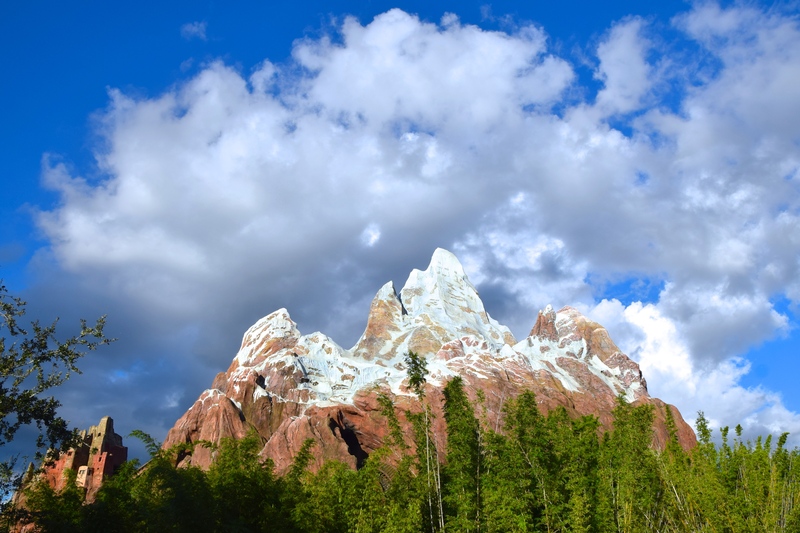 Animal Kingdom quickly became Sean’s favorite of the 4, and Expedition Everest immediately became his favorite ride on property. Being that it’s such a stunning engineering feat (even by Vekoma’s standards), who can blame him?? 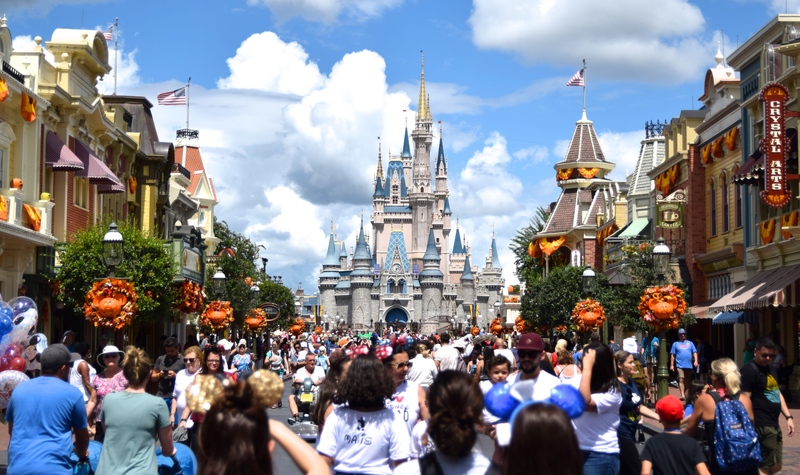 Ironically, Disney World’s best park is home to Disney World’s worst area. Can we please have a meteor take out Dinorama? Countdown to Extinction Dinosaur was a hard reach to make an Indiana Jones clone compete with Jurassic Park River Adventure, but it’s not a bad ride. Ridership is probably lower than they’d like (given the operating costs), but it’s *almost* classic status for Animal Kingdom. 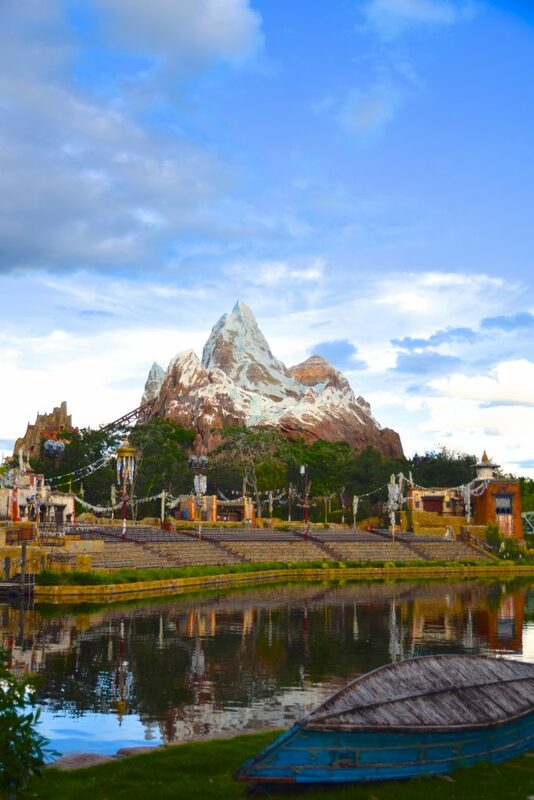 Based on our rides on each of Walt Disney World’s 8 coaster attractions, Expedition Everest is in a league of its own. Even Rock N’ Roller Coaster wasn’t performing on this level. 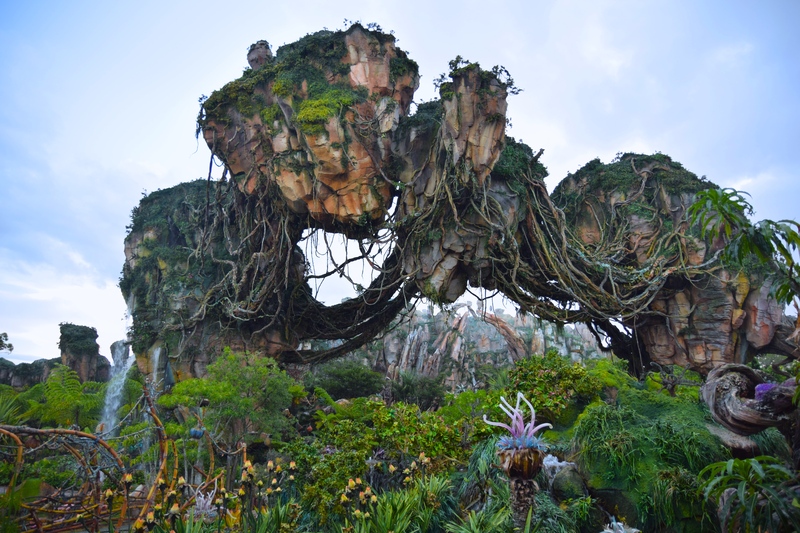 Everest aside, the highlight of our whirlwind tour of Disney World was Pandora, which was new to me as well as Sean. We got soaked in an flash downpour and dried ourselves off in a 45min queue for Na’vi River Journey, which is a great ride overall. My only nitpiks would be that it’s just a hair too short (honestly if it just went a tad slower…), and I would always like to see more practical effects in place (though River Journey has particularly inspired moments of projection mapping). Just being here was a real treat. The simultaneous blue skies/rain/sunshine/mist really added to the environment. 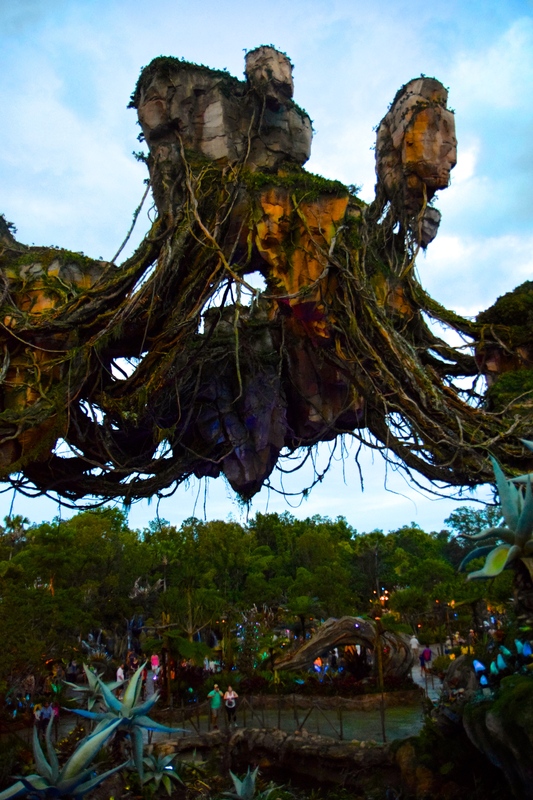 We hopped in line for Flight of Passage, for which we wound up queueing for just under an hour. Flight of Passage is the new prototype for attractions that begin when you enter the queue. 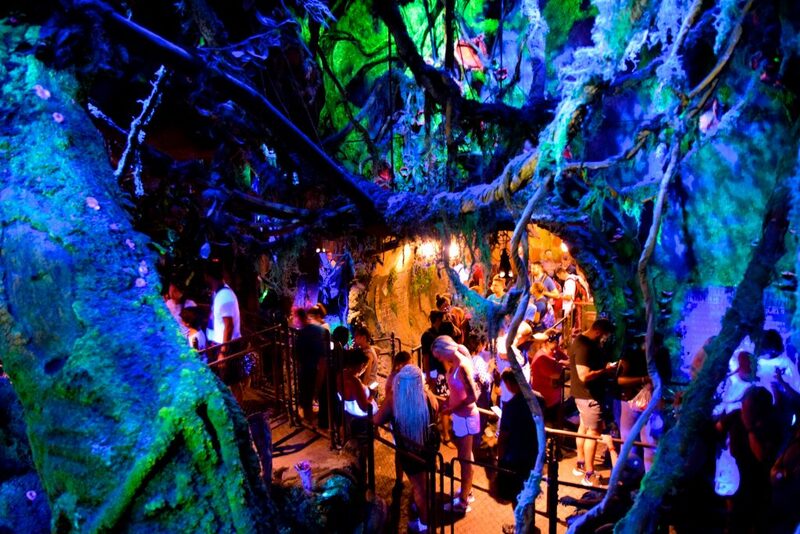 Not since Dueling Dragons (RIP, again) have I been so captivated by a queue’s storytelling. 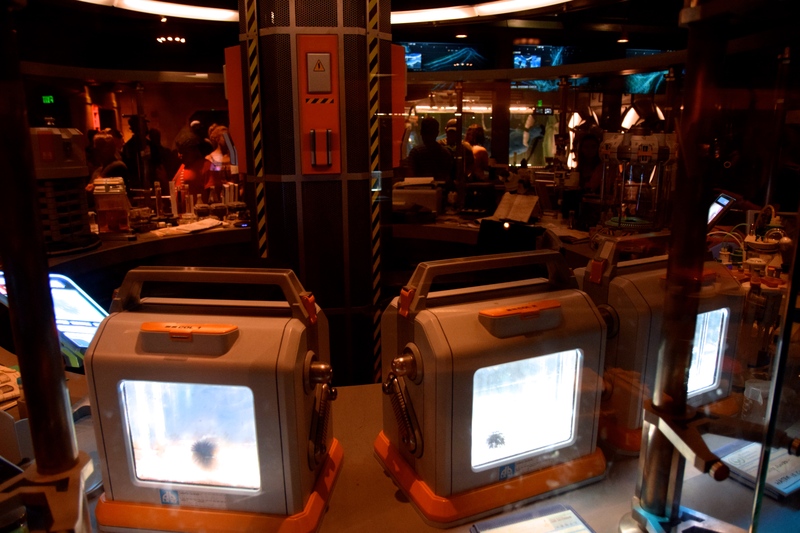 There’s a very gradual transition from the Pandora naturescape into a government lab, and that transition really transports the guests to another place. Reaching the end of the queue brought back memories of early rides on Indiana Jones Adventure, which really pushed the envelope when it came to delivering guests into an experience, both figuratively and literally. 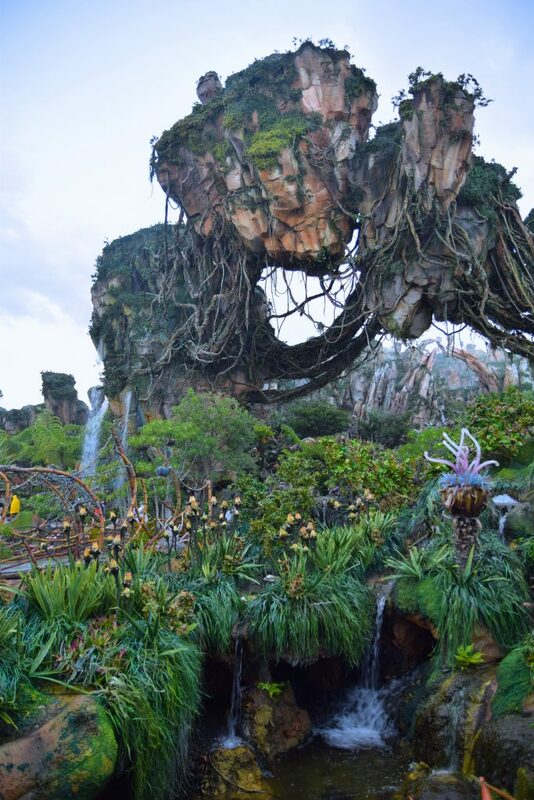 In short, Flight of Passage is beautiful. 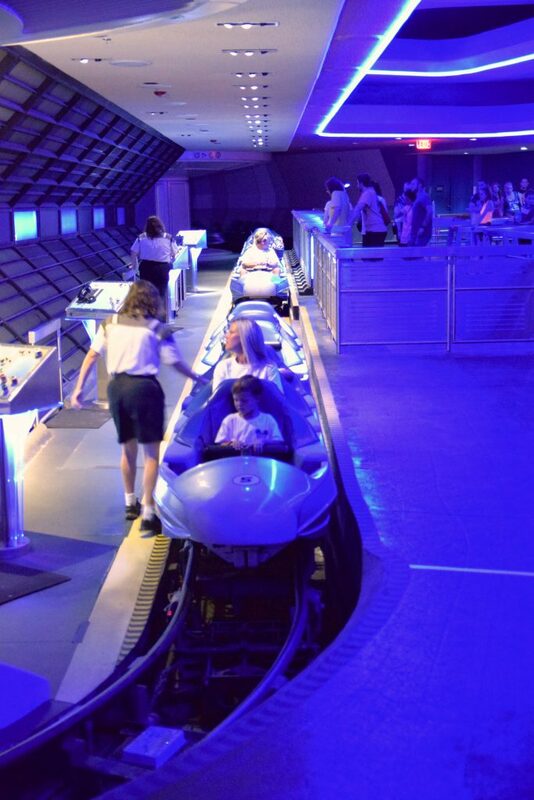 I appreciate the smooth melding of concepts (Soarin’ and Tron) to create something seamless. As far as non-tracked rides go, this is where the pin on the graph stops for now; it may be a while before a simulator eclipses this achievement. And so ends our amazing break-neck survey of Walt Disney World! If we passed over some of your favorites, don’t worry! We’ll be back soon for a more-careful exploration of the World’s largest tourist destination. 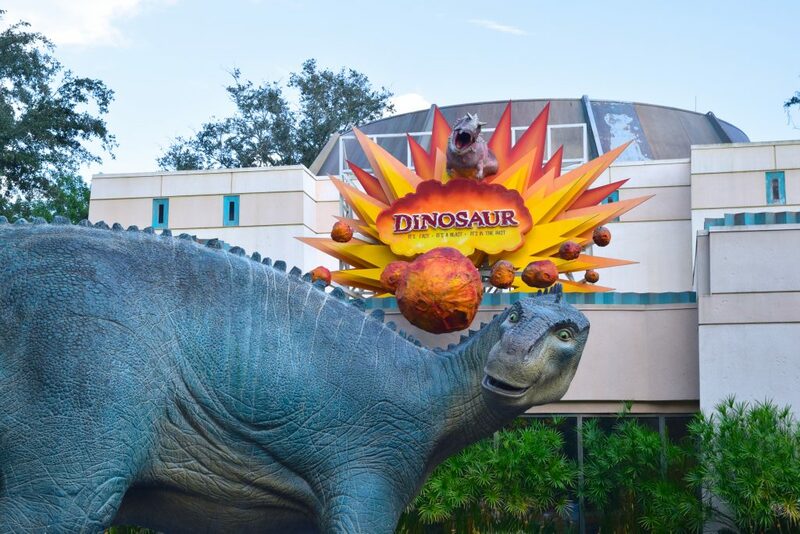 Be sure to follow us on Instagram and Facebook to keep up with all the latest news from Florida’s theme parks! A while you’re here, check out some of our other Florida Coaster Kings posts!